Tom Paradise holds a duel role as the Director of Aviation and Director of Maintenance. Mr. Paradise joined White Cloud Charter LCC in April 2006 as Director of Maintenance. His aviation career began in 1978. Over the past thirty years, he has worked for corporate operations such as Safeflight, Cheseborough-Ponds, Ingersoll Rand, and Union Carbide. Tom has been in the aircraft charter business since 1986 and was Chief Inspector for Unilever, and Director of Maintenance for Bresnan International Aviation, before joining White Cloud Charter. Jim Little is the Director of Operations for White Cloud Charter LCC. Mr. Little joined White Cloud Charter LLC in June 2006 as Chief Pilot. He began his aviation career in 1978 and has flown 12,000 hours. He has type ratings in CE-500, DA-50, DA-2000, HS-125 and GII, G150, G450 and G550 aircraft. His thirty eight years of aviation experience have been directly related to Part 135 and Part 91 operations. Prior to joining White Cloud Charter, Jim flew as captain for Tag Aviation, International Paper, Philip Morris, and American Can. He holds a Master's Degree in Aeronautical Science from Embry-Riddle. Seth Zeigler holds the position of Chief Pilot at White Cloud Charter LLC. He joined White Cloud in September of 2014. Mr. Zeigler holds type ratings in the CL-65, G150, GIV, G450 and G550. Prior to joining White Cloud, he flew for a 121 airline and also worked at FlightSafety International on the GIV program. Linda Schiavone joined White Cloud Charter LCC in July 2007 as Charter Sales Manager and brings with her over 30 years of experience in aviation. She is responsible for business development, charter sales and customer relations. Previously, she was Aviation Administrative Manager for International Paper's corporate flight department, responsible for all Part 91 aircraft scheduling and dispatching. 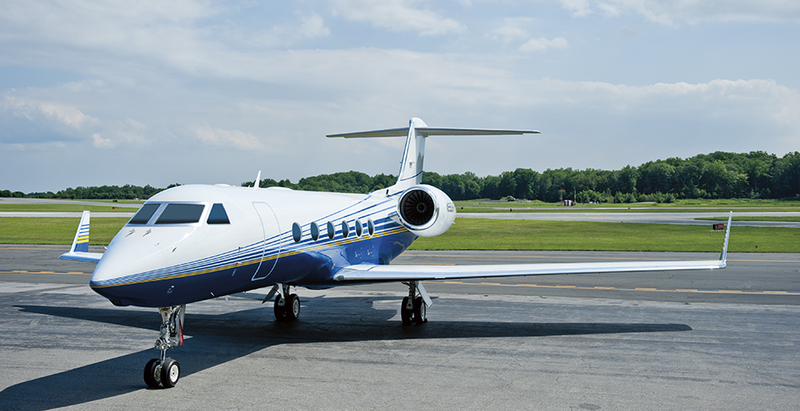 Later, she joined Bresnan International Aviation as Charter Sales Manager for their Part 135 operation. Eugene Mazzucco joined White Cloud Charter LLC in October 2011. He has over 18 years of experience as a Charter Sales Representative and Flight Coordinator. At White Cloud, his primary responsibility is to coordinate domestic and international flights in compliance with FAA and company policy. Before joining White Cloud, Mr. Mazzucco was with TAG Aviation USA and Key Air. He holds a commercial pilot license, instrument rating, and is an FAA licensed aircraft dispatcher. He graduated from Iona College with a B.A. degree in International Studies.